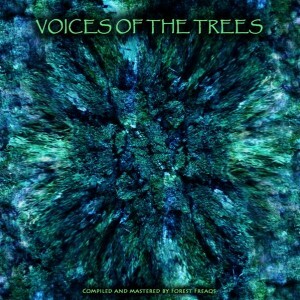 The Forest Freaks collective presents Voices Of The Trees, a new compilation continuing the saga the began with Under The Moss and Under The Moss Vol. 2. As before, this release focuses on the finest darkpsy and forest music with an emphasis on pure psychedelic sounds. Although there is a strong showing from the Lithuanian trance community many international guests also appear. Mastered by Forest Freaqs. MP3 Download | FLAC Download | WAV Download · Download count: 18,179. KILLLLLLLLLLLER VA!!! Must HAVE!!!!!! Thx 4 the LOSSLESS!!!!! yea.. this is our first international release ;) i hope u will enjoy this release.. :) thanks for all artists involved . SWEEEEEEEEEEEEEEEET !!!!!!! great move domas my friend !! and all the forest freaks people ! Thats really outstanding impressive forest stuff !!!! hah thanks for RED, DoHm and Cenotes tracks! Really appreciatted that some good artists are still giving some of their music for free to the crowd! Therange Freak & Whrikk !!! Excellent Forest !!!! Holy cow, nice album! I don’t listen to forest that much but this is a sweet one! The tracks by Dohm and Wrikk stand out, but track 8 by RED is truely outstanding, FANTASTIC sampling!!!! brilliant va!! In forest we trust!! In forest we live!!! This is an incredible and exceedingly well produced / mastered album! Bravo, gentlemen. That DoHm track floors me especially, as does Therange Freak and Whrikk. But the whole album is like a story! Red … Full Power stuff for sure !!! Killer compilation boys … Very yummy indeed :D !!! Didn’t quite get it, all of the artists here are lithuanians? Way awesome compilation. Makes me feel like I’m on a twilight space adventure in a mystical forest. Did not want this album to end. Forest Freaks for the win!